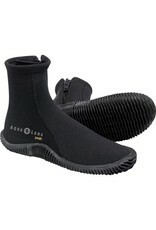 Ranging from warm to cold water conditions, Aqua Lung offers a wide array of boots for your diving adventure. With ergonomic soles, that add to your comfort and keep your feet warmer, soft to hard sole and quality materials and components, the Aqua Lung line of boots is a complete offering with innovative features only found in Aqua Lung boots. 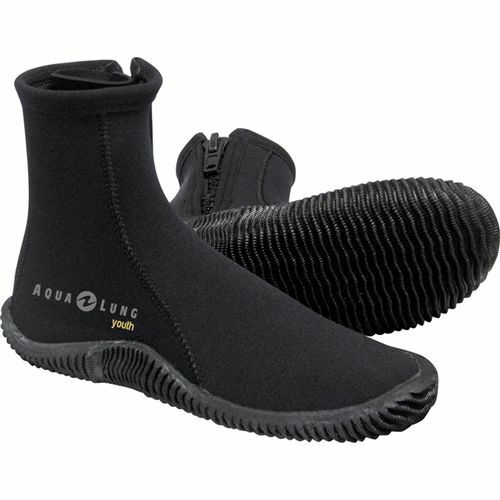 The Aqua Lung Youth 5mm EchoZip Boot is made from nylon II neoprene has a flexible vulcanized rubber sole and four seam (2 front, 2 heel) pattern. Boots have a non-corrosive Delrin #10 YKK heavy-duty zipper with zipper lock, are sized for youths and are available in multiple sizes.